Among Mermaids and Creature Tales! Open life's mystery box with Alan B. Smith as he chats freely with authors and researchers about UFOs, alien life, cryptozoology, metaphysics, spirituality, wellness, hauntings, sci-fi and more! Welcome to this inquiring and sometimes strange platform where we challenge assumptions about alternative and paranormal phenomenon. ... See More Surprising revelations from guests are common, and all sides of a story are welcome here on Paranormal Now. Live in the mystery. Now recorded live on Spreaker on Mondays at 9pm, and rebroadcast Thursdays on KGRA at 1am! Surprising revelations from guests are not uncommon; much like the news breaking reveal on the show by author and ufologist Peter Robbins about his co-author Larry Warren. Peter laid out the evidence about Warren’s deceptive past and his story about his supposed experience witnessing the Rendlesham UFO. Not only did Robbins feel deceived himself, but he shares his own personal guilt for having propagated Larry’s story and essentially fooling the entire UFO research community. Though this came as a shock to Peter and the ufology community - Peter Robbins continues to seek the truth and expose deception. 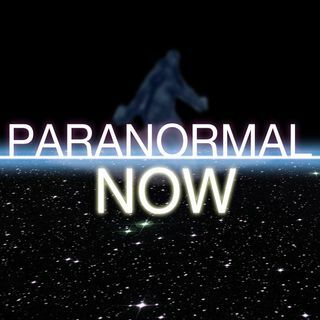 All sides of a story are welcome here on Paranormal Now.